The Executive Advertising carries hundreds of promotional journals and notebooks. Whether you are looking for fancy executive journals or a more cost effective solution, we’ve got you covered! 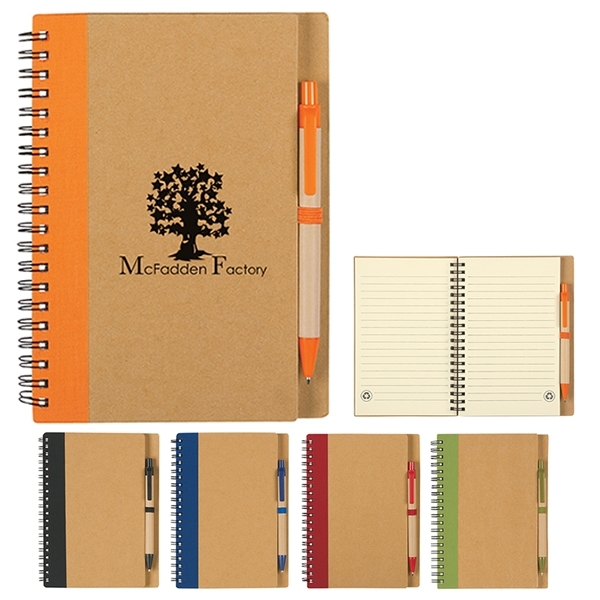 We carry bamboo style promotional notebooks, custom journal notebooks with a pen included, and imprinted moleskin pocket notebooks. Depending on the product, you will be able to get a free 1-color screen or a laser engraving. 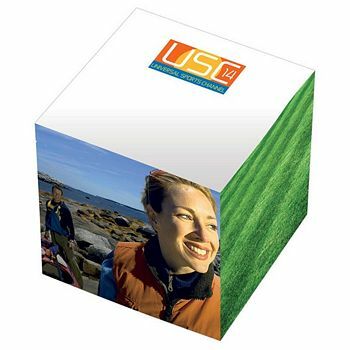 We offer a large assortment of promotional note cubes in many different shapes, types, and sizes. Our promotional adhesive note cubes are great for sticking your branded notes onto hard surfaces like desks, refrigerator doors, walls, or notebooks. If you are not in need of adhesive, browse our promotional non-adhesive note cubes. These promotional note cubes can be combined with promotional pens and pencils and can make great tradeshow gifts, office supplies, and cost effective giveaways. Want to go green? We have plenty of promotional eco-friendly note cubes that are made out of 30% post-consumer recycled fiber. 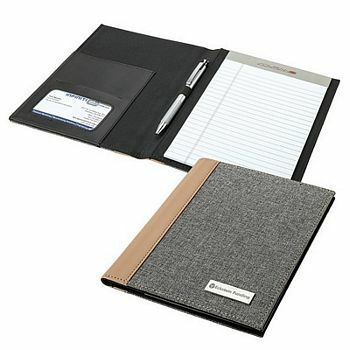 Promotional padfolios are very useful in the work environment, regardless of your industry. 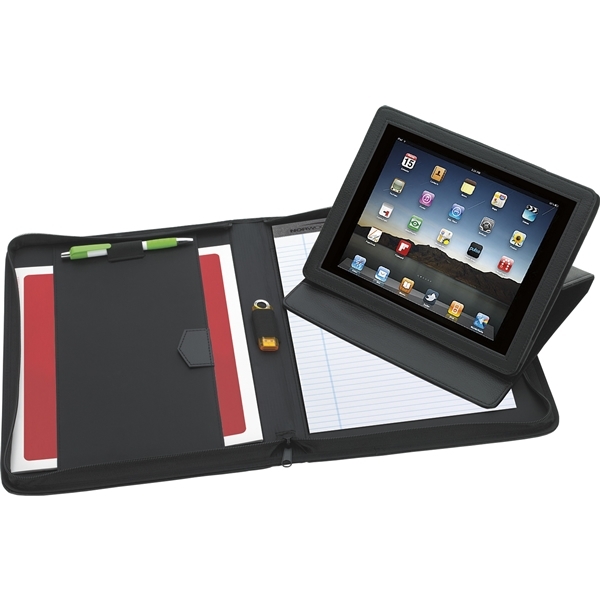 Customized padfolios are perfect for organizing your high-tech, busy lifestyle. Some of our imprinted padfolios also feature a zippered closure, pen loop, and flash drive holder which makes these products comfortable and handy for business people on the go. 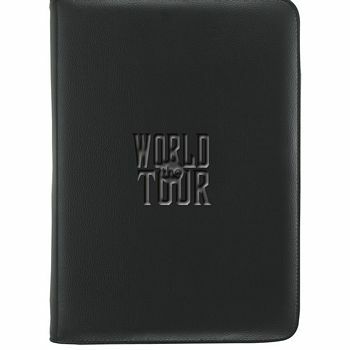 We also carry customized padfolios that can carry tablets, and most come with a complimentary writing pad. 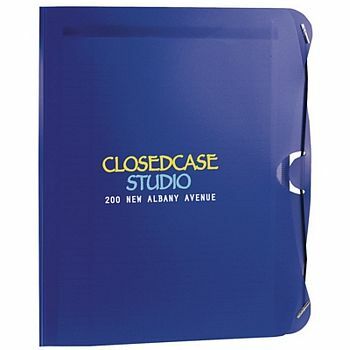 Imprinted jotter pads are typically cheaper and simpler than promotional padfolios. Many of our promotional jotter pads come with lined paper and some have a promotion writing pen included with the jotter pad. 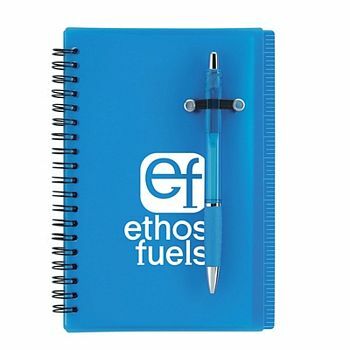 These customized jotter pads can be custom imprinted with your company logo or slogan. These items are excellent giveaways to hand out at trade shows, to employees, or to your clients. 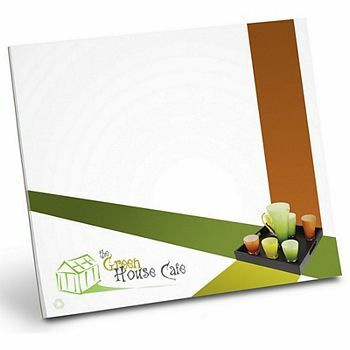 Even in an age of technology, promotional jotter pads are still widely used across all industries because of their portability and low prices. Promotional sticky notes have been a staple promotional product for decades, but they never go out of style. 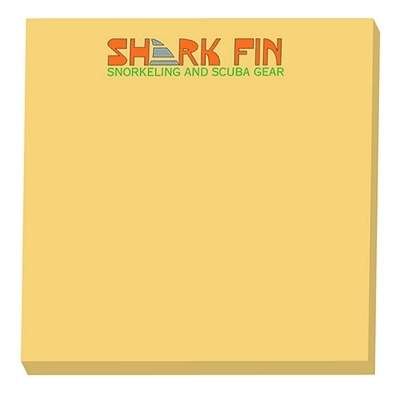 Most office workers appreciate having customized sticky notes handy at their desk for jotting quick notes and reminders. 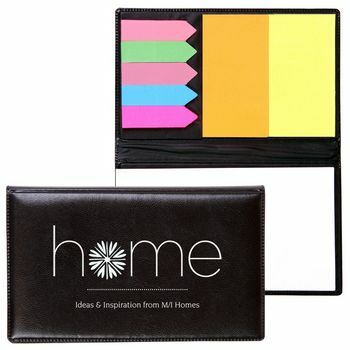 Customized sticky notes are also commonly used in the home setting. 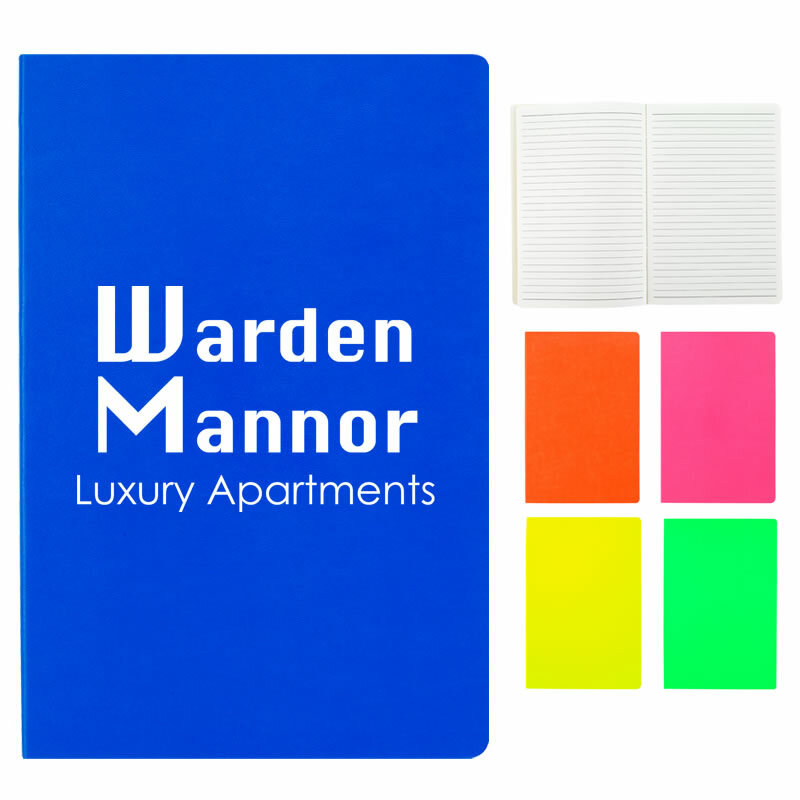 We carry popular brand names and are most known for our promotional Bic sticky notes. Full bleeds are included with many of our promotional sticky notes, meaning that your artwork will be printed to the edges in full color digital ink. Looking for an item that your clients can use to carry around papers? We have a nice sized selection of promotional document holders including travel portfolios, custom travel envelopes, promotional folders, and imprinted carry cases. Or take a look at our custom document bags and promotional laptop bags. 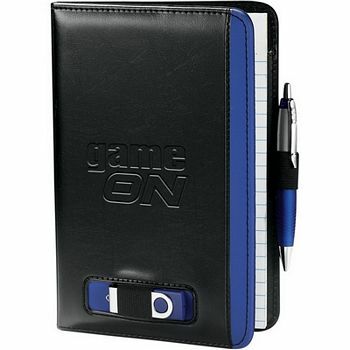 The Executive Advertising also carries promotional day planners and custom imprinted sticky note booklets. All 20,000+ promotional products at The Executive Advertising can be custom imprinted with your company logo for no additional charge. The Executive Advertising is ready to work with you! Questions? Contact one of our friendly customer service representatives today and see why The Executive Advertising is a rising star in the promotional products industry!